MMG dropped the eagerly anticipated visuals to their single 'Power Circle' featuring Rick Ross, Meek Mill, Wale, Stalley, and Gunplay. Judging by their DRE Films-directed video, it seems like they're enjoying their current success! 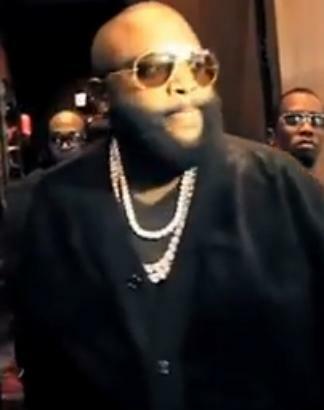 The nine-minute clip compiles real footage from Rozay's star-studded birthday bash, MMG's recent performance at the recent Hot 97 Summer Jam gig, as well as some other candid moments from the press conference and studio recording. "If Michael Jackson came alive right now/ He'd ask you to smoke on for him, so in his honour..."
Similar to the last album, Self Made 2 features an array of artists signed to Mayback Music Group such as Meek Mill, Wale, and Kendrick Lamar. With the album officially out, the MMG will appear on BET's 106 & Park to promote the video.